Hey Hon! We at Observation Baltimore wanted to take a moment to recognize our favorite city…Baltimore, Maryland! We have already told you why Baltimore is the perfect test market. Now, we want to focus on why we love Baltimore. On September 28, 1953, baseball’s owners unanimously agreed upon the move of the St. Louis Browns to Baltimore. And the Baltimore Orioles were born! The Orioles glory years were from 1966-1985. During this time, the club had an impressive eighteen consecutive winning seasons (1968–1985), and won the World Series three times (1966, 1970, and 1983). Unfortunately, the Orioles have been lackluster recently. And in 2011, the Birds completed their 14th straight losing season. Still, loyal Baltimoreans flock out to Camden Yards to root for their hometown team year after year (we still have hope!). In 1996, Cleveland Browns owner Art Modell decided to pack his bags and move the team to Baltimore, a city that had been without football since the Colts snuck out of town in 1984 (but that’s another story). 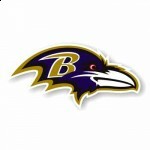 The Browns were renamed, becoming our beloved Baltimore Ravens! While their first couple years in Baltimore were rough, with losing records from 1996-1998, things turned around for the Ravens in 2000. In that year, the team completed its first winning season and eventually went on to win Super Bowl XXXV, while setting numerous defense records. Since that time, the Ravens have been amongst the elite teams in the NFL. And Baltimoreans could not be happier! Since the 1970’s, conservationists have been working hard to clean up the polluted Chesapeake Bay watershed and save the declining Maryland Blue Crab population. And all of that hard work is paying off! In fact, the Chesapeake Bay’s blue crab population (mentioned above) is at its second highest level since 1997. This is also the first time since the early 90s that the Bay has seen three consecutive years where the adult population was above the target (200 million crabs) and the combined commercial and recreational harvest was below the target of 46 percent. More of those delicious Maryland steamed crabs! Categories: All About Baltimore, Baltimore Market Research, Market Research Specialists, Observation Baltimore News, Uncategorized, and Useful Information | Tags: Baltimore, Baltimore is the perfect test market, Chesapeake Bay watershed, market research specialists, Maryland, Maryland steamed crabs, Observation Baltimore, Super Bowl XXXV, The Baltimore Orioles, The Baltimore Ravens, The Maryland Blue Crab, and What Makes Baltimore Great? This entry was posted on Wednesday, February 29th, 2012 at 7:02 pm. Both comments and pings are currently closed.